Gallery-quality artistic elegance highlights the beauty of this alabaster and metal table lamp. Embrace a glamorous ambiance with a hint of nature-inspired appeal. 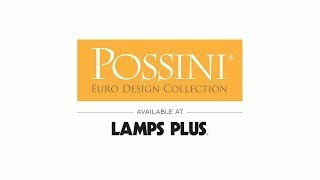 Possini Euro Design® offers a stylish lighting element with a clean silhouette and gorgeous materials and finishes. This alabaster and metal table lamp features a convenient night light function. Overall: 24 3/4" high. Rectangular shade is 14" wide x 14" deep x 10" high. Uses one 150 watt standard base bulb (not included) for main light. 4-way switch. Includes one 7 watt bulb for night light. Mindy table lamp with night light from Possini Euro Design®. 8-foot clear cord and plug. Net weight 12.5 pounds. 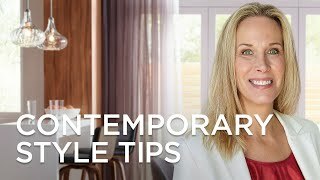 Elegant looking without being too fussy. Looks much more expensive than it is. We like low light in the living room while watching movies. The night light feature is perfect for that. The look is elegant Euro and the bonus option to use the light from within the alabaster base lends an additional subtle yet warm ambiance to the dark corner it sits in. It was simple / yet tasteful. how do you/can you replace the nightlight 7w bulb in this lamp? BEST ANSWER: Before replacing the bulb contained in the lamp base, it’s necessary to remove the shade. Then lay the lamp on its side, preferably on a soft surface, because the body of this lamp is made from alabaster. With the lamp on its side, you’ll find an opening on the bottom of the lamp that contains the 7w bulb. This opening is easy to see and to reach for replacement of the old bulb with a new one. No tools necessary. How do you turn on the night light? BEST ANSWER: Hi - This has a 4-way switching feature. Turn the switch once (top light on), second time (night light on), third time (both lights on), then all off. BEST ANSWER: Hi Summer - the base measures 6" square x 13"H.
Is this a good lamp for bedside? BEST ANSWER: Absolutely - with a 150 watt maximum, it would also be plenty of light to read by in bed.